The time is right for Africa to capitalize on several business and economic development trends. First, based on current projections, over the next five years, economies in sub-Saharan Africa could constitute half of the world’s fastest growing economies. Second, Africa’s population is young, fast growing, and increasingly urbanized, with rapid technology adoption making the continent fertile for innovation. Economic dynamism in many parts of the region is generating business opportunities in infrastructure, housing, health, financial services, and other areas. Finally, progress on regional integration, including through the adoption of the African Continental Free Trade Agreement earlier this year, means further possibilities for market growth are opening up. Yet for many, Africa’s business environment remains poorly understood. Often, businesses interested or working in Africa cite concerns about economic and political risks as obstacles to long-term investment and to the successful implementation of business strategies. 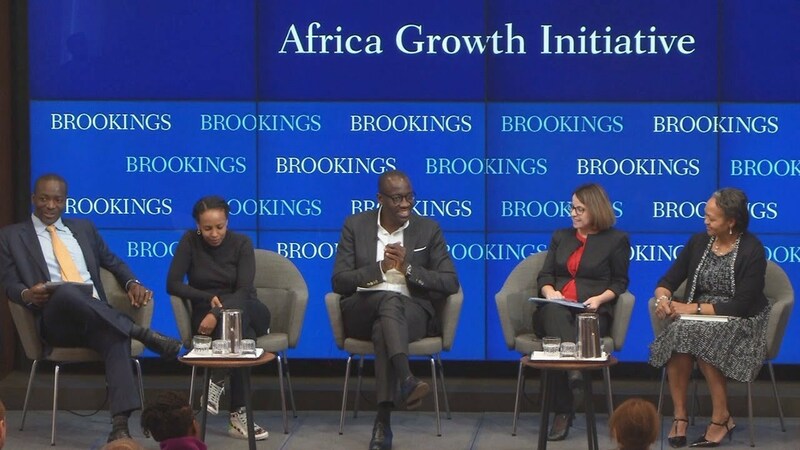 On November 27, the Africa Growth Initiative at the Brookings Institution hosted a panel of experts to discuss the region’s untapped business potential and strategies for seizing opportunities. Acha Leke, senior partner and chairman for the Africa region at McKinsey & Company, kicked off by presenting findings from his new book, Africa’s Business Revolution: How to Succeed in the World’s Next Big Growth Market. A panel discussion covered, among others, the regional results of the World Bank Group’s newly released Doing Business, as well as investor and corporate perspectives.